Getting Back to My Kid Hair! When I began growing my hair out, one of my goals was to get my hair back to the length it was when I was a child (adult equivalent, of course). I think I’m almost there? What I need to do is get rid of the red still there and go out in the sun. My natural color as a child was great! 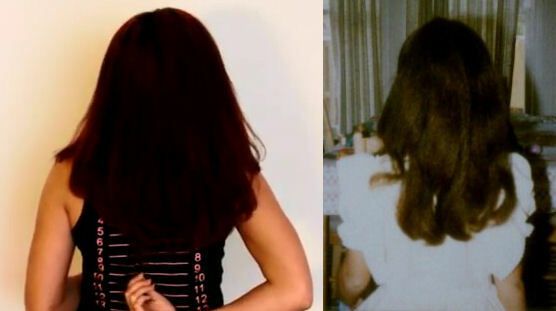 Gorgeous hair…then and now! You don’t have far to go at all. Red or not (and I do love the red) it looks like a beautiful head of healthy hair!